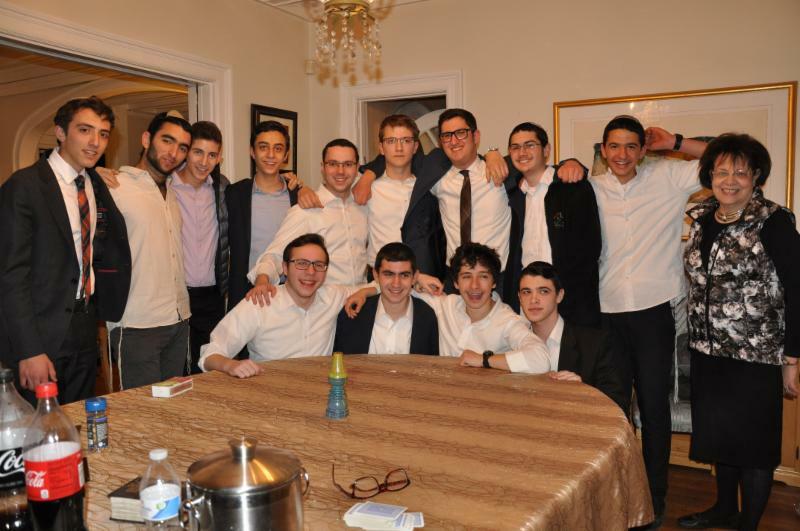 Last weekend, the visiting Makor Chaim exchange students spent Shabbos at the home of the Libesman family in Lower Merion, a suburb of Philadelphia, accompanied by seven of the 11th graders who were on the MTA program at Makor Chaim last year. The Friday night and Shabbos day meals were filled with singing and divrei torah, as well as the real Makor Chaim/MTA ruach! For the Oneg Shabbos on Friday night, the boys were invited to the home of Rabbi Avraham Shmidman, the Rav in Lower Merion (and a former MTA faculty member), where they heard more divrei torah and enjoyed the opportunity to meet members of another Jewish community. 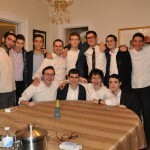 On Shabbos afternoon, they joined Rabbi Shmidman again in Shul for Seudah Shelishis before going back to the Libesman’s for havdalah, followed by a Melaveh Malka pizza party in a local ice skating rink. On Sunday was the annual Makor Chaim tour of the American Jewish Museum, Independence Hall, and Constitution Hall; after this educational and enjoyable day in historical Philadelphia, they returned to MTA for another week of programming. MTA is grateful for the warmth and hospitality displayed by the Libesman family and by Rabbi Shmidman and for their beautiful Shabbos spirit and hachnasas orchim. A very special thanks to Mrs. Tanya Libesman for the delicious meals and hard work to organize this very special weekend, as well as to Mrs. Tova Rosenberg for her help in coordinating everything.